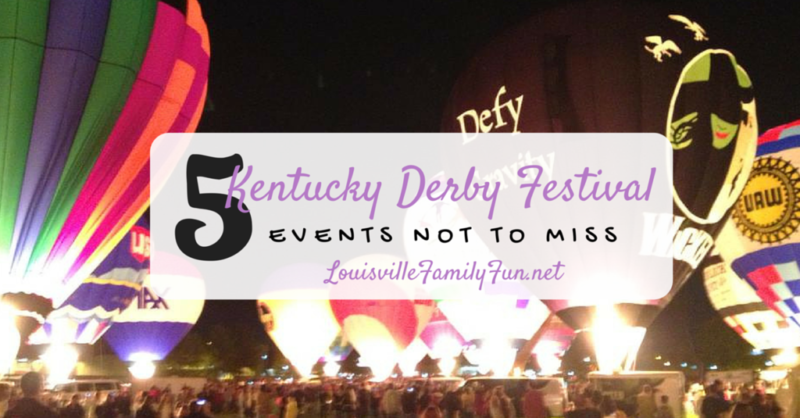 The Kentucky Derby Festival is such an amazing opportunities to get out together and enjoy our city. Sometimes, it can seem like such an undertaking to figure out which events are the best for kids and families. Here are some suggestions of events we know and love! The most popular FAQ qet receive is, how old does a child have to be to need a Pegasus Pin? The answer is: 6 years old. Children ages 5 and under do not need Pegasus Pins. April 13 starting at 11 a.m. Entry is free with a 2019 Kentucky Derby Festival Pegasus Pin. Purchase your pin at any of these local retailers. This event offers Thunder FoodFest, an interactive display area and a kids’ play area on the Great Lawn. April 25- May 3 starting at 11:00 AM- Entry is free with a 2018 Pegasus Pin. This is a family friendly area with tickets rides, food, and drinks. There are a variety of free concerts- many of the acts are family friendly. Dance the night away while enjoying the waterfront. 3. Horseshoe Foundation FamFest – April 19 at 4pm. This new-ish event is taking place in New Albany as a special preview of the festival. They will have a hot air balloon there, inflatables, mini golf and even bed races. A taste of everything to come. The first 1,000 people will get a free custom Pegasus pin! 4. Republic Bank Pegasus® Parade– May 2, starting at 5pm. Free or you can get buy tickets for seats by going here. This is a wonderful family event with lots music and of visual action. Enjoy character balloons, amazing floats, marching bands, and more! 5. Great Balloon Glow– April 26, 6:00 PM: Gates Open, 9:00 PM: Glow Begins. Free with at 2019 Kentucky Derby Festival Pegasus Pin + Fairgrounds parking fee. This is your chance to see the balloons up close, inflated and tethered to the ground. The balloon pilots and crews will be standing by to answer questions and light up their balloons. At 9:00, all the inflated balloons will light up to a synchronized to a musical score. *This event is weather dependent so please check that it is still going on before headed to the Fairgrounds. 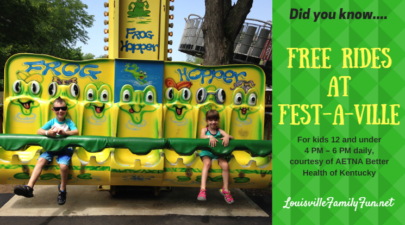 For more SPRING FUN ideas from LouFamFun, click here.